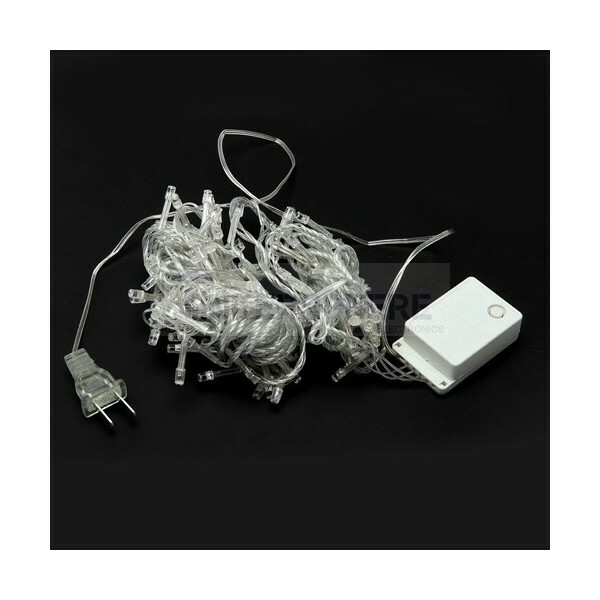 This 10m 32.8 foot long LED String is a great way to decorate while saving energy! These energy saving LED Christmas Lights come with a controller that switches through 8 modes at the press of a button! Just plug in to your wall outlet, select the mode and you'll have instant LED illumination! Raspberry Pi & Arduino controllable using Relay Module! 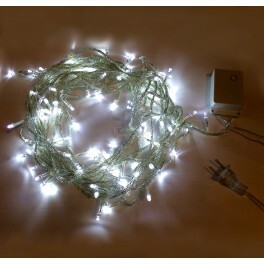 This 10m 32.8 foot long LED String is a great way to decorate while saving energy! These energy saving LED Christmas Lights come with a controller that switches through 8 modes at the press of a button! Just plug in to your wall outlet, select the mode by pressing the button on the included controller and you'll have instant LED illumination! LEDs are much more energy efficient than traditional bulbs and will save you money on electricity bills when used for long periods of time. You can control up to 8 of these via Arduino or Raspberry Pi using our 8 Channel Relay Module! Just connect each of these LED strings to one channel of the relay module and turn them on/off from your Arduino or Raspberry Pi for stunning LED displays. You can also control one at a time using a single relay module. Change the color of your christmas tree when someone approaches, sync your LED lighting to music, change lighting depending on time of day, turn off your tree when no one is home, etc using Arduino & Raspberry Pi! Lots of Lighting project ideas can be made using these simple LED strings. What will you make? Great for weddings, holiday lighting, home & garden, store displays, restaurants and more!